With hunting season upon us on the North Dakota prairie, I am going to feature wild game recipes as much as possible for the next couple months. 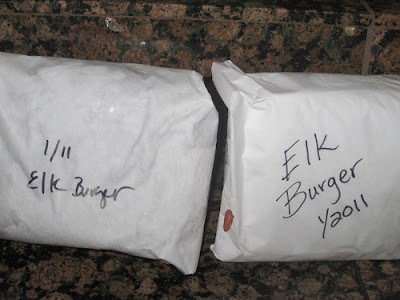 Today my friend Marie from Oregon shares her elk burgers complete from the elk she shot to the tasty burger recipe she served last week for her birthday dinner. 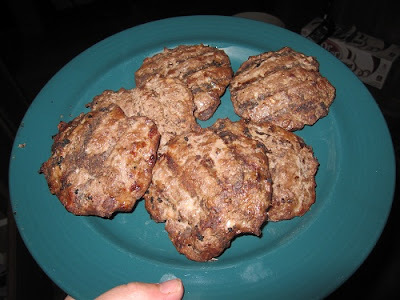 How to make elk burgers? Learn today from Marie of Oregon Green. 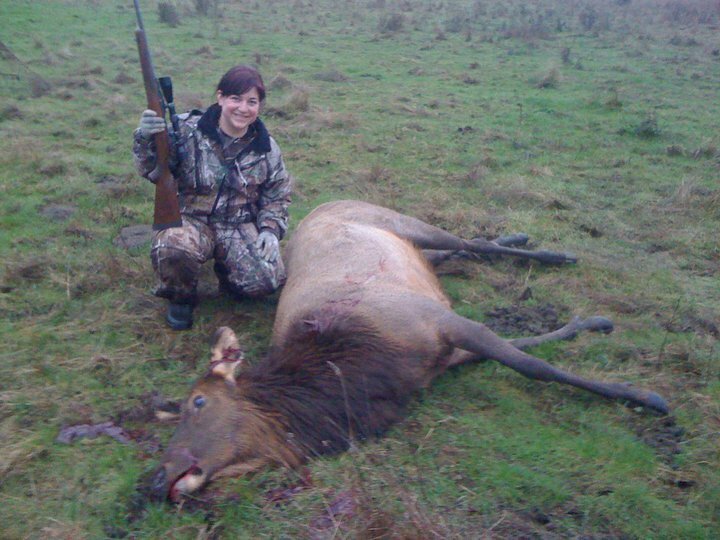 Last January I shot my very first elk with my custom shortened Ruger .270 (Marie size). I was pretty darn excited mostly because it would fill my sister’s and my freezer for the year. After it was all cut and wrapped by my amazing dad, grandpas, mom and grandma there was approximately 300 pounds of delicious elk meat. 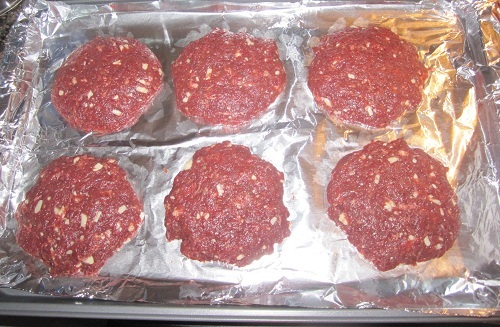 A third of that was elk burger which is great because you can use it in tacos, spaghetti or make delicious burgers. Last Wednesday was my birthday. I made elk burgers. My mom had given me a big game cooking book that covers venison, wild pig and bear. http://www.scotthaugen.com/books/biggamecookbook.html I used a recipe from the cook book. Since we were having company over I quadrupled the recipe…that may have been a little excessive. I mixed all of the ingredients together. And enjoyed. 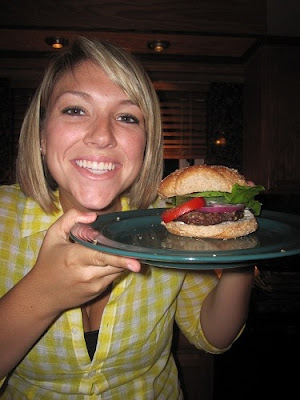 My sister Callie showed off the finished elk burger. The burgers were served with a side of Cougar Gold Macaroni and Cheese. When making the elk burger recipe again I would use more salt and pepper and a little less wine which means more wine for me. My sister thought the burgers were better the next day possibly because the flavor really soaked in over night. 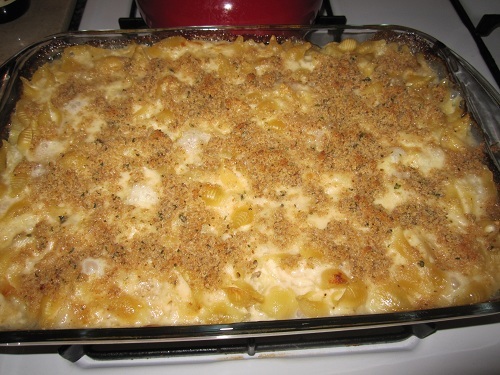 Overall though the recipe was good and I would make it again. Thanks Marie! Marie and I first connected on Twitter. We met in real life in Nashville in August and I just love her zest for life. She’s a witty and outgoing Oregonian farm woman that rocks a career and makes a mighty elk burger we all just learned. I am linking up this recipe today for Hunk of Meat Monday with Beyer Beware. Do you have a wild game recipe you prepare for yourself, family and friends? 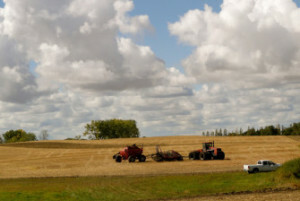 Living on the North Dakota prairie, we eat a wide array of wild game from pheasant to goose to venison plus plenty of fresh walleye. (Right honey?) We are truly hunters and fishers. That being said, I really am not experienced in preparing wild game in the most delicious ways. Mostly, I experiment like Marie did with adding a couple extra ingredients to a recipe I find. If you want to guest post and share a wild game recipe in the coming weeks and months, let me know. Nice post. We do a lot with venison around here. Although my son keeps trying to get an elk tag to hunt elk here in Kentucky. Awesome! Love the fact that we can still hunt our meat. Hope you all have great luck during hunting season. Thanks for linking up to Hunk of Meat Monday. Now that is cool! Congrats on getting an elk Marie! Awesome!! I need to learn how to cook game – we still have geese, ducks, and doves from last year that we have not cooked (mainly because I don’t know how) and the boyfriend is going bear and deer hunting this weekend. I will be looking forward to more game recipes!